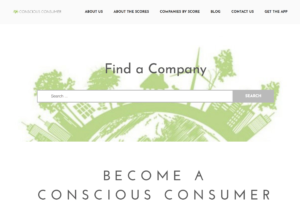 The Conscious Consumer is a website and app duo that gives consumers the tools to evaluate companies and their products. Conscious Consumer looks at the largest consumer goods companies in the United States and assigns each a grade from A-F based on their animal, environmental, and human impact. 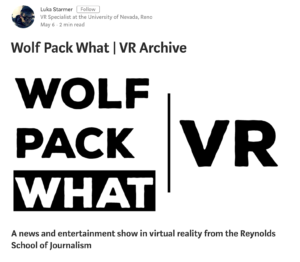 Wolf Pack What is a news and entertainment show for the UNR campus community – shot in 360 video for a virtual reality experience. The project explores topics of interest ranging from the future of journalism in a VR world to local traditions on and off campus. Relatable is a multimedia platform capturing stories of women and the media’s impact on body image. The collection shares powerful stories and unique perspectives from fashion industry insiders, survivors of eating disorders, women with disabilities and women that have felt body shaming. 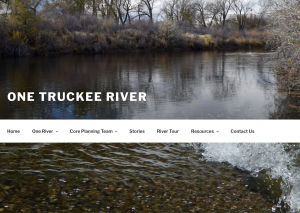 One Truckee River is a website that features content related to the Truckee River Management Plan. The project is a collaboration of public and private partners working together to realize a Truckee River that flows clear and clean, quenches our thirst, sustains the river’s natural ecology, cultural resources and wildlife, and connects residents and visitors to unparalleled opportunities for recreation and regeneration. To create this project that integrates anthropology and journalism, Jeri Chadwell Singley worked with an associate professor in the Anthropology department, Carolyn L. White. She documented an archeological project about the pieces left behind on the playa after Burning Man. 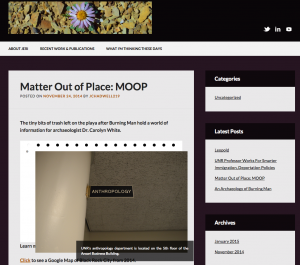 Those pieces tell contemporary archeological stories about Burning Man experiences. Chadwell specializes in multimedia storytelling; the project includes stories, a photo gallery and audio recordings. 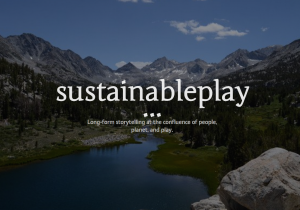 A journalism project which captures stories of wellness and sustainable development, this website was designed to share environmental adventures and inspire people to be a part of the sustainable lifestyle in nature. Storytelling includes the wilderness reflections of backcountry skiers, rock climbers, hikers, runners and many more. 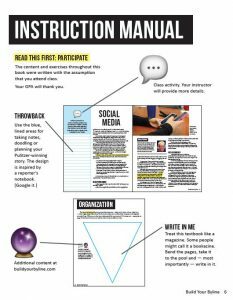 This textbook prototype designed for undergraduates taking Journalism 107 at the Reynolds School of Journalism features emoji, bite-sized content and fill-in-the-blank writing prompts wrapped in a magazine design. Multiple rounds of ideation and usability testing were used to create the prototype. The Fatal Encounters app is a tool intended to decrease the numbers of people killed by police and to improve interactions between law enforcement and the people they serve. The app is an addition to a website, a national database of people killed by police. In 2012, Burghart discovered that not all police homicides are not being recorded. The site was founded as a journalism project available to the public. Now American citizens are able to track and record incidents of people killed by police. 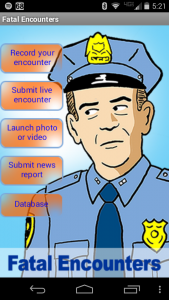 The mobile app provides an opportunity to record an incident on the spot, enter the facts into the database, and even launch a photo or a video. This interactive wildlife field guide and participatory mapping project is an effort to help local people learn about the species that live in and along the Truckee River, and to create a collaborative, community-produced public record of wildlife and plant distribution along the Truckee River as it exists today. Data is crowd-sourced from the public, and compiled on an interactive wildlife map. 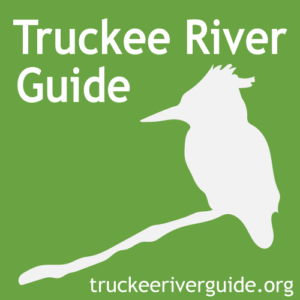 The website, which was launched in January of 2015, also features a growing species list, and photos and descriptions of the plants and wildlife that live in the Truckee River region. During an internship of summer 2014 at the Knight Foundation in Miami, Cody Johnson discovered the opportunity to conceptualize a database usability-testing project. 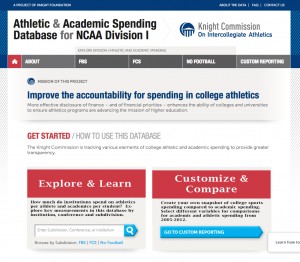 In cooperation with the Knight Commission, the goal was is to improve the accountability of college athletic and academic spending. The usability testing was conducted on a database for NCCA Division I. After recognizing few problems with the data organization, Johnson’s suggestion was to organize the data by trends to improve the search experience and to redesign the database to be visually appealing.